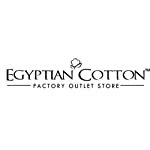 This is a EGYPTIAN COTTON FACTORY OUTLET STORE brand product. Package contains 1 Goose Down Comforter in a beautiful zippered package. Wrap yourself in these 100% Egyptian Cotton Superior comforters that are truly worthy of a classy elegant suite, and are found in world class hotels. Woven to a luxurious 1200 threads per square inch,these fine Luxury Bed Duvets are crafted from Long Staple Giza Cotton grown in the lush Nile River Valley since the time of the Pharaohs. Comfort, quality and opulence set our Luxury Bedding in a class above the rest. The result is a comforter so luxurious and soft, you will believe you are truly covering with a cloud, night after night. You will relax and enjoy the rich, soft and luxurious feeling of down comforter. Warranty only when purchased from EGYPTIAN COTTON FACTORY OUTLET STORE brand Reseller.